Subject: LongIsland.com - Your Name sent you Event details of "81st Artist Members Exhibition: Museum Mondays, Museum Director’s Choice with Christina Mossaides Strassfield "
For 81 years, Guild Hall Museum has reserved space in its exhibition schedule for the Annual Guild Hall Artist Members Exhibition. This is the oldest non-juried museum exhibition on Long Island and one of the few non-juried exhibitions still running. This community-centered exhibition is an opportunity to celebrate the artists who live and work here. 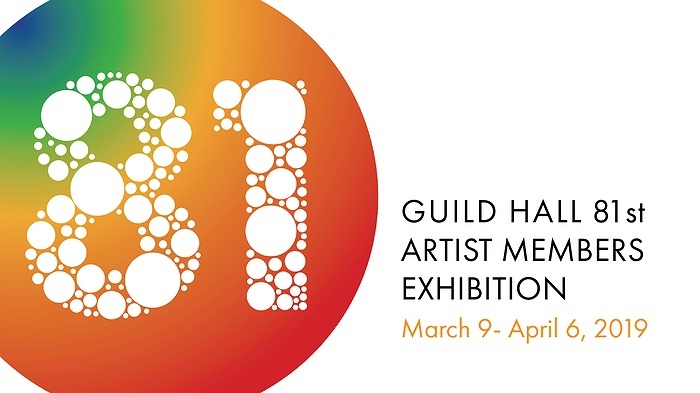 Artists from every level participate in this exhibition to show their support of Guild Hall and its role in their life as their community Museum, Theater and Educational Art Center. The Annual Guild Hall Artist Member Exhibition has often been referred to as the opening of the Art Season on the East End. It is a lively and vibrant exhibition featuring over 400 works in every medium from Guild Hall’s artist members. Prizes are awarded in the following categories: Top Honors, Best Abstract, Best Representational, Best Photograph, and Best Work on Paper, Best Mixed Media, Theo Hios Landscape Award, and Honorable Mentions. Artist Members Exhibition receives a one-person exhibition in the Spiga Gallery. Museum Hours: Fri, Sat and Mon 11am–5pm and Sun 12–5pm. Guild Hall, 158 Main Street, East Hampton, New York 11937, 631.324.0806, GuildHall.org.